Hamas movement renewed its rejection of the futile negotiations, saying they only serve the interests of the occupation. The movement stressed, at a press conference on Monday evening, that Abu Mazen and his negotiating team do not have the legitimacy and the right to give up any part of the land of Palestine or any of the people's rights. It stressed that the Palestinian people with all its factions including the PLO factions have rejected the resumption of negotiations, and called on all the Palestinian living forces and factions to unite against the move which aims to liquidate the Palestinian cause. It also called on the Arab League and the Arab and Islamic countries to "lift the cover on this negotiating process," amid the Palestinian Authority's serious and continued concessions. The movement also emphasized on the choice of resistance until the liberation of Palestine, the return of all refugees, the release of all captives and the liberation of Jerusalem. PFLP: Negotiations with Israel are "destructive and dangerous"
The Popular Front for the Liberation of Palestine (PFLP) considered that opposition to settlement construction, by U.S. administration and some European countries, represents nothing more than lip service. The PFLP said in a press statement on Monday that nothing is done to hold the occupation accountable and punish it for its crimes, adding "it is clear that in reality the only thing that matters to these countries is that we continue to play the game of negotiations and “peace process” in service of its goals in the region and at the expense of the Palestinian people, their sacrifices and struggle." It stressed that those who support the negotiations and “bilateral solutions” contribute to building false illusions, deceiving the Palestinian people, and harming the national struggle, the unity of the Palestinian people and their political institutions, and the international solidarity movement with Palestine. The PFLP demanded the Palestinian Authority to end the futile and destructive negotiations and to proceed to implement the reconciliation agreement in order to restore national unity. "These negotiations are scheduled to take place under the shadow of construction of settlements in Jerusalem and West Bank, terrorism of settlers, the tightening of Gaza siege, ongoing war crimes and violations against Palestinian land and people, as well as manipulation of the prisoners' issue. The negotiations serve only to support the occupation's decisions and intentions", the PFLP said. American journalist Jeffrey Goldberg, closely affiliated with the White House, reported that US Secretary of State John Kerry warned Prime Minister Benjamin Netanyahu of widespread delegitimization campaign if renewed negotiations fail. According to the report on Bloomberg, Kerry believes that the only thing that Netanyahu fears more than the Iranian nuclear program is international isolation that may be renewed. Palestinian Authority says talks with the Israelis run the risk of collapse because of Tel Aviv’s decision to continue expanding the settler units. “Settlement expansion goes against the US administration's pledges and threatens to cause the negotiations' collapse,” said senior Palestinian Authority official, Yasser Abed Rabbo, in a statement on Tuesday. 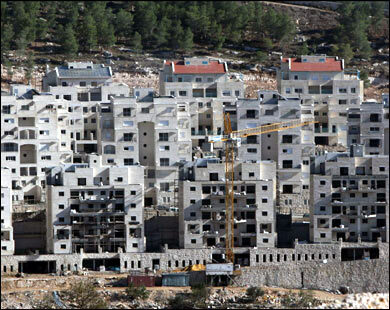 On Tuesday, Tel Aviv approved construction of over 940 new settler units in the occupied East al-Quds (Jerusalem). The move has outraged Palestinians who were already shocked by the approval of about 1,200 units on Saturday. 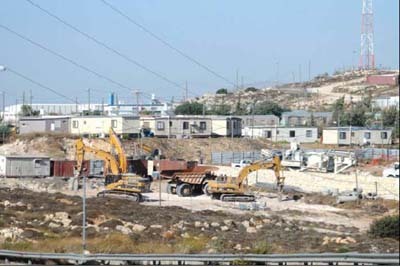 The plans for the construction of the new settler units have also drawn international condemnation. Palestinian Authority negotiators believe by doing so, Israel is trying to disrupt the resumption of talks. Talks between Israel and the Palestinian Authority have long been stalled over a range of issues, including Tel Aviv’s refusal to stop building settlements on Palestinian lands. More than half a million Israelis live in over 120 illegal settlements built since Israel’s occupation of the Palestinian territories of the West Bank and East al-Quds in 1967. The United Nations and most countries regard the Israeli settlements as illegal because the territories were captured by Israel in a war in 1967 and are hence subject to the Geneva Conventions, which forbid construction on occupied lands. The UK urged Palestinians and Israelis to avoid any possible actions that might weaken peace efforts and to adopt measures to build trust. It welcomed Israel’s decision taken on Sunday to release 26 Palestinian prisoners in advance of talks. US Secretary of State John Kerry said on Monday that Israel's announcement of a plan to build new settlements in the West Bank and East al-Quds (Jerusalem) "were to some degree expected." Kerry continued, saying, "the United States of America views all of the settlements as illegitimate,” and he urged Palestinian and Israeli officials to continue with the peace talks, due to resume this week. 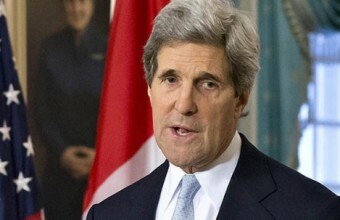 Kerry spoke on Monday with Israeli negotiator Tzipi Livni and called Israel’s Prime Minister Binyamin Netanyahu. On Sunday Israel's housing minister announced his approval of a plan for 1,200 new settlements to be built in the West Bank and East Jerusalem, causing many to feel that Israeli officials were "not serious in the negotiations" with the Palestinian Authority. 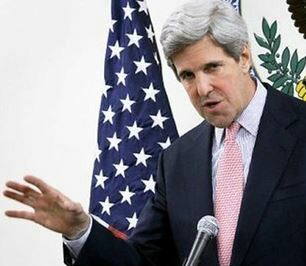 Commenting to the Israeli decision to build hundreds of units in illegal Israeli settlements in the occupied West Bank, U.S. Secretary of State, John Kerry, said Israel “only announced bids”, and that he does not believe this announcement would harm political talks between Israel and the Palestinians. The Israeli decision includes hundreds of bids for new constructions in Jewish settlements in occupied East Jerusalem, and the occupied West Bank. 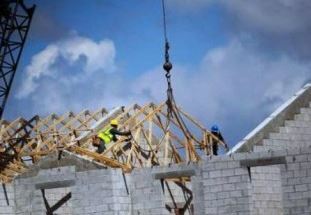 Israeli Housing Minister, Uri Ariel, stated that his ministry would be announcing bids for the construction of a thousand units in the West Bank. He said that Israel intends to build 400 units in Gilo settlement, 138 units in Zeev settlement, and 793 additional units in Jerusalem. 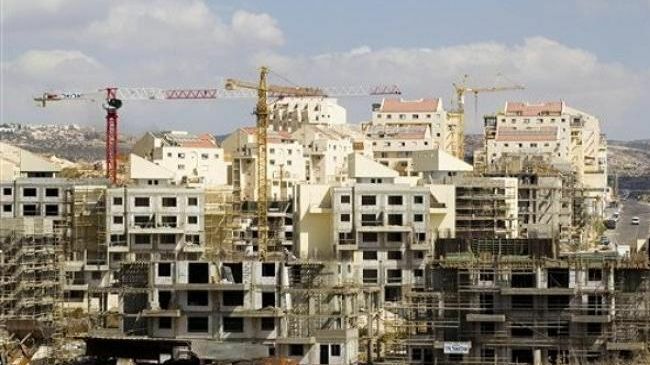 Ariel added that 117 units will be built in Ariel, in the northern part of the West Bank, 149 in Efrat settlement near Bethlehem, 92 in Ma’ale Adumim settlement bloc, and 36 in Beitar Illit in the Gush Etzion settlement bloc. “We will not allow anybody to dictate to us what to do, and what not to do”, he said, “We will build whenever and wherever we want”. Israel’s illegal settlements and settlement blocs spread across the occupied West Bank and occupied East Jerusalem are amongst the main obstacles to any future peace agreement as they are built in occupied territories in direct violation of International law. Press TV has conducted an interview with Gordon Duff, senior editor of Veterans Today from Ohio, to shed more light on the issue of the latest round of the US-brokered peace talks between the Palestinian and Zionist regime's authorities. Russia Calls New Israeli Settlement Plan "Counterproductive"
The Russian Foreign Ministry recently voiced its disapproval of Israel's plans to build roughly 1,200 new settlement units, according to PressTV. On Monday, the Russian Foreign Ministry issued a statement, saying that "the announcement of such plans on the eve of a new round of negotiations due to be held in [East al-Quds] Jerusalem on August 14... is a counterproductive step that complicates the atmosphere of the talks." The Ministry also noted that Russia was "seriously concerned" by this decision to approve plans for additional settlement-building. 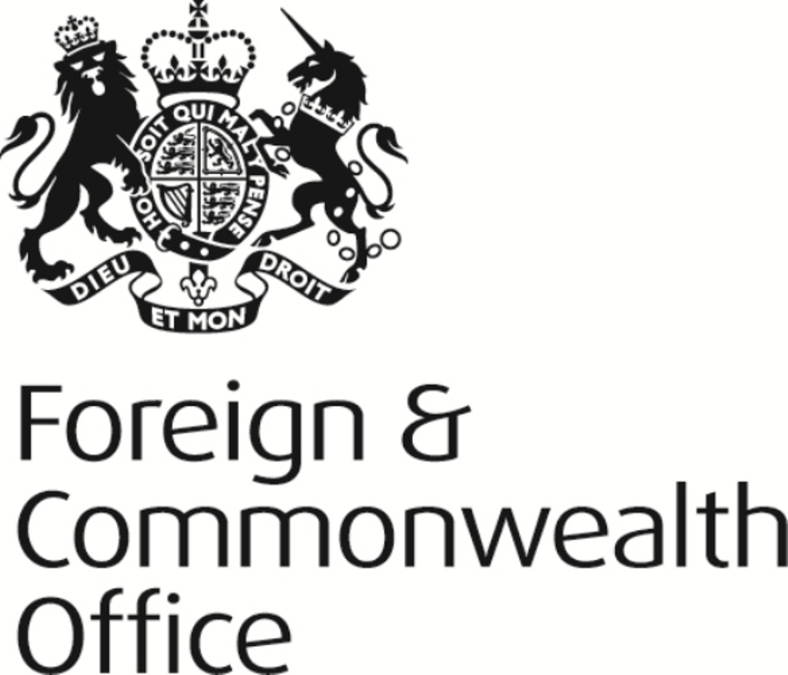 In a press release issued Tuesday, the UK Foreign and Commonwealth Office (FCO) expressed concerns regards the Israeli authorities decision to advance construction plans for almost 1200 settlement units in the West Bank and East Jerusalem. 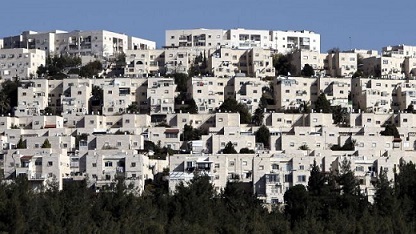 "We are concerned by the decision taken by Israeli authorities on Sunday to advance plans for almost 1200 settlement units in the West Bank and East Jerusalem," said FCO spokesperson. He continued, "As the Minister for the Middle East Alistair Burt said on Friday, such steps do not help efforts towards a negotiated two-state solution. The focus now must be the resumption of negotiations on 14 August, as part of efforts to bring about a lasting peace." "The UK urges both sides to avoid steps that undermine these efforts and to take measures to build trust. In this regard, we welcome the bold and forward-looking decision taken by Israel on Sunday to release 26 Palestinian prisoners in advance of talks." He concluded, "The UK will continue to do all it can to support Israel, the Palestinians and the United States to achieve a two-state solution and lasting peace for the Israeli and Palestinian people." In a statement on Monday, the European Union opposed Israeli plans to build close to 1,200 new settlements in East Jerusalem and the West Bank, recognizing them as illegal, according to PressTV and the International Middle East Media Center. This statement was preceded by Israeli Housing Minister Uri Ariel's decision, on Sunday, to grant full approval for the construction of 793 settlement units in East Jerusalem and 394 units in the West Bank. Michael Mann, spokesman for the EU's High Representative of the Union for Foreign Affairs and Security Policy Catherine Ashton, responded with the EU's position that "Israeli settlements in the West Bank are illegal under international law and threaten to make a two-state solution to the Israeli-Palestinian conflict impossible." This statement echoes an EU statement released in May of this year, underscoring the "EU's long-standing position about settlements." In Monday's commentary, however, the statement progressed further to address the current context of ongoing negotiations. Mann noted that the European Union desired "all parties to refrain from actions which could undermine the negotiation process and the prospects of peace." In particular, the timing of the Israeli Housing Ministry's approval for new settlement construction falls close to the next set of peace talks, scheduled to begin this Wednesday in Jerusalem. It's expected that the releasing of the 26 Palestinian prisoners the Israeli authorities agreed to release as part of resuming negotiations with the Palestinians will begin Tuesday midnight. 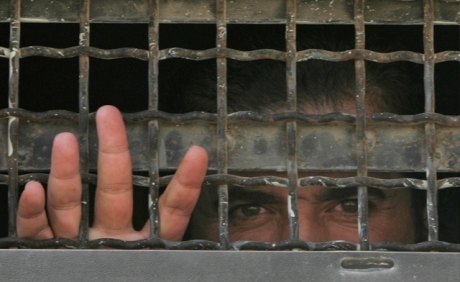 Prisoners are due to arrive to Ramallah and Gaza Wednesday at dawn. 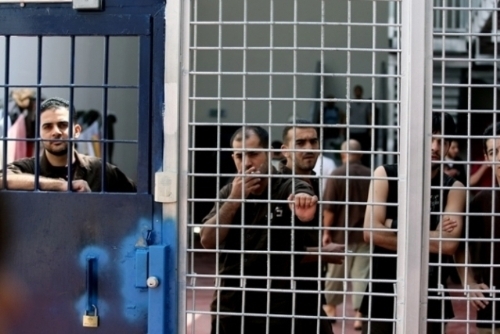 Those prisoners were transferred to Ayalon Israeli jail in al-Ramleh, where medical tests will be run on them, and they will be interviewed by the Israel Prison Service (IPS) and the International Red Cross. The Israeli High Court of Justice issued today its decision on the petition filed by Israeli organization Almagor on behalf of the Israeli society and a number of families who are against the government's decision to release 26 Palestinian security prisoners. These parties also provided a new petition to the court demanding to postpone the release and claimed that the list of prisoners to be released include six prisoners have committed commando operations after the signing of the Oslo Accords. The government must immediately stop this double political game and overcome the conditioned reflex by which every time talks come near, it responds with real estate violence. For several months Prime Minister Benjamin Netanyahu worked to persuade Israelis and the international community of his sincere longing for the renewal of negotiations with the Palestinians. He repeatedly stressed that Israel is ready at any time to talk to Palestinian Authority President Mahmoud Abbas without preconditions, and each time he presented Abbas as the sworn rejectionist. But on the eve of the renewed talks, born only after political torment and tribulation, it turns out that the term “preconditions” has a variety of interpretations. For example, Israel agreed to release 104 Palestinian prisoners, including Israeli citizens, in exchange for “slowing down” construction over the Green Line. As a result, Abbas rescinded his demand that negotiations begin with the issue of borders, and agreed to Netanyahu’s demand to discuss all the core issues as they are raised. Abbas also refrained from demanding that Israel pledge not to build in the territories during the negotiations, and thus removed another obstacle that Netanyahu had put there to stop the talks before they began. But Netanyahu’s far-reaching interpretation of the term “no preconditions” pushes the envelope of Palestinian understanding. The urgency with which approval was given for plans to build hundreds of housing units in the territories, and the announcement of the construction of hundreds of new units in East Jerusalem, are not the result of the immediate need for roofs over the heads of the homeless. They seem to represent the hope for a targeted assassination of the opening of the peace talks after every other effort to stop them has failed. These steps, which have already led to a sharp American rebuke, lift the fog in which Netanyahu has tried to cloak his true intentions. They present Israel, under his leadership, as the one rejectionist of every diplomatic process. Viewing the negotiations that are to open tomorrow as another opportunity that must be missed, Netanyahu is leading Israel with eyes wide open into a minefield, in which not only relations with the Palestinians will be damaged, but also those with the United States. The latter could join in the punitive measures the European Union has imposed on Israel, and thus complete Israel’s circle of international isolation. The government must immediately stop this double political game and overcome the conditioned reflex by which every time talks come near, it responds with real estate violence. Finance Minister Yair Lapid, who spoke specifically about the vital need for negotiations, must use his political power against any construction beyond what was agreed to with the Americans. The other coalition partners must allow the talks to take their first steps and begin the journey to the end of the conflict with the Palestinians. As part of the US effort to restore utterly futile “peace talks” between Israel and the Palestinian Authority, Israel agreed to release 104 Palestinian prisoners in phases, with the first 26 to be freed on 13 August. According to Addameer, the Palestinian prisoners rights group, most of those slated for release have served more than 25 years in Israeli prisons and are near the end of their sentences. In many cases, they are the same prisoners Israel has agreed to release in previous agreements, before reneging on those commitments. Playing up Israeli anguish Israeli media and politicians have been doing their utmost to milk this decision for propaganda purposes, highlighting how unspeakably evil the Palestinians are and what a high and terrible price this is for Israelis. Israeli newspapers highlighted the crimes committed by the prisoners, most of whom have served 20 years or more in prison for deadly attacks against Israelis. The list of prisoners, which was released after midnight, included one of the killers of Isaac Rotenberg, a Holocaust survivor who was 67 at the time of his death in 1994, and the man who killed an 84-year-old Israeli, Avraham Kinstler, with blows from an ax. One of them was Gila Molcho, the sister of Ian Feinberg, an Israeli lawyer who was bludgeoned to death by a Palestinian man wielding an ax in Gaza in 1993 while he was working on a project there. Ms. Molcho held a framed portrait of her brother, who was 30. Palestinians have no such opportunity Of course, it would be inhuman not to empathize with the anguish of any individual whose loved one has died violently. But what’s most striking – and unremarked – about all this is that Israelis are, by and large, the only ones who have the opportunity to bewail the release of prisoners held for decades for killing their loved ones as some sort of great sacrifice and injustice. Due to the systematic and near-total impunity that protects Israelis from consequences for killing or injuring Palestinians, there is just no parallel on the Palestinian side. Going back to the creation of Israel, Palestinians have almost never seen the killers of their children receive appropriate punishment. Notoriously, Colonel Issachar Shadmi, the brigade commander who ordered the massacre of 47 villagers at Kafr Qassem in 1956, was found guilty of a mere “administrative error” and fined one penny. The examples of crimes where there has been a total absence of accountability and justice are simply too numerous to list, but they include the 1982 Sabra and Shatila massacres of thousands of Palestinians during the Israeli occupation of Lebanon, and more recently more than 1,400 Palestinians killed in Gaza in 2008-2009 during Operation Cast Lead. Twenty-one family members were killed and 19 injured in the shelling of just that house. Others had been killed, injured and left to die in nearby homes. Nine of the dead in Wa’el Samouni’s house were children, the youngest a baby of six months. The dead children included Wa’el Samouni’s 14-year-old daughter, Rizqa, and 12-year-old son, Faris. In that case, as in countless others, Israel investigated itself and – surprise! – found no wrongdoing. Insignificant sentences It would be wrong to say that Israeli soldiers never receive sentences for crimes against Palestinians. One year ago, for instance, an Israeli soldier was handed a sentence of 45 days in prison in a plea bargain on a lesser charge that meant he avoided trial for killing Raya Abu Hajaj, 64, and her daughter Majda, 37. The mother and daughter were shot dead in the Gaza Strip in January 2009 as they were among civilians waving a white flag and trying to flee the Israeli onslaught. Has B’Tselem not noticed that Israeli military police operate as if their job is to prevent, not promote, justice for Palestinian victims? He was acquitted of any wrongdoing in her death by an Israeli court in 2005. In these cases, the names of the accused are not even made public, another form of impunity for Israeli perpetrators. Recently, I wrote about the case of Michael Gershkowitz an Israeli soldier, who received a risible two-month sentence for an horrific, unprovoked beating of a Palestinian worker that was caught on video. And then there was the case of the Israeli police officer, Shahar Mizrahi, whose 30-month sentence in 2010, for shooting dead an unarmed Palestinian motorist caused consternation and outrage because it was considered too severe. Israel’s top police officer and public security minister promised they would lead a campaign to convince Israel’s president to pardon Shahar. It would be misleading to say that light sentences are the norm for Israelis who kill Palestinians. Any sentence at all is an exception. The norm is for no serious investigation, and no charges to be brought in the first place. Every Palestinian child knows this, including Atta Muhammad Atta Sabah, a 12-year-old boy who was shot and paralyzed by an Israeli soldier in Jalazoun refugee camp last May. “I’m not expecting anything to happen to [the soldier who shot me],” Atta recently said. Colonial “justice” It bears mentioning that under the 1993 Oslo accords, the Palestinian Authority and security forces have no powers to arrest or bring to justice Israelis who commit crimes against Palestinians, a limitation that institutionalizes Israeli colonial “justice.” The Palestinian Authority can only arrest Palestinians. Sentences reduced for Israelis convicted of killing Arabs It would be remiss not to mention that sometimes Israeli civilians do go to prison for long periods for killing Palestinians. There is the example of Ami Popper, who was serving multiple life sentences for murdering 7 Palestinian laborers in 1990. During his time in prison, Popper became religious, got married and had three kids. In 2007, while on prison leave, Popper was involved in a car accident which left his wife and one of his sons dead. He had been driving without a license. He has since remarried and got divorced. Sunday’s wedding is his third marriage. Popper’s sentence was reduced from seven life terms to 40 years in a series of pardons and commutations in 1999 by Israel’s then president Ezer Weizman. Weizman’s order reduced by four years the 15-year sentence of Yoram Skolnik, who was jailed in 1993 for shooting a bound Palestinian man who had been captured after stabbing a Jewish settler in the West Bank. Skolnik was originally jailed for life but Weizman already commuted the sentence to 15 years. Nehemia Michbaum, who killed a Palestinian man by throwing a hand grenade into a market in the Old City of Arab east Jerusalem in 1992, had his term reduced from 12 years to 10 years. Also benefitting from Wednesday’s decision were two brothers, Yehodav and Eitan Kahalani, who were sentenced to 12 years in prison for the attempted murder of a Palestinian and had their terms cut to eight years. The impunity is so pervasive and systematic – and endemic to what is a colonial reality in Palestine – that The New York Times doesn’t notice it. But when Israelis feel aggrieved, Kershner makes sure the world hears their weeping. The European Union and White House issued separate statements denouncing the new Israeli plan, declared Sunday, when Israel approved hundreds of units for Israeli settlers in occupied East Jerusalem, and the occupied West Bank. High Representative of the Union for Foreign Affairs and Security Policy for the European Union, Catherine Ashton, stated that the EU strongly believes that Israel’s settlements in occupied Palestine are illegal, and violate International Law. Ashton added that settlement pose serious threats to the efforts to resolve the Palestinian-Israel conflict and the two-state solution, especially amidst the recently renewed direct peace talks between Israel and the Palestinian. U.S. Foreign Secretary Spokesperson, Jennifer Psaki, stated that Washington is extremely concerned about the Israeli decision, and Israel ongoing settlement construction activities. Psaky added that the position of her country has never changed, as the United States does not recognize settlements because they are illegitimate. U.S. Foreign Secretary, John Kerry, also denounced the Israeli decision, and added that he informed Israeli Prime Minister, Benjamin Netanyahu, and Israeli negotiator, Tzipi Livni, that the United States considers settlements illegal. The Unites States grants Israel about six billion dollars annually in direct and indirect aid. The statements came after Israel officially approved the construction of 1200 units in illegal settlements build in the occupied West Bank, and in occupied East Jerusalem. Settlements are illegal under International Law and the Fourth Geneva Convention to which Israel is a signatory. 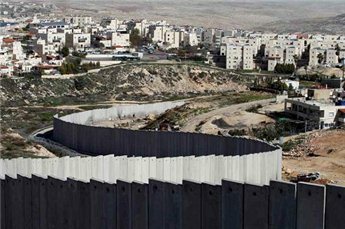 Israel’s illegal settlements, and its Apartheid Wall have turned the Palestinian areas into isolated ghettoes, separating the villagers from their lands, or what is left of them, and diminished the chances of establishing a future contiguous and independent Palestinian State. The Israeli government of Prime Minister, Benjamin Netanyahu, approved the construction of additional 890 units for Jewish settlers in the Gilo illegal settlement, southwest of occupied East Jerusalem. The decision came less than 24 hours after Israel approved hundreds units in occupied East Jerusalem and the West Bank. Israeli daily, Haaretz, has reported that the plan was not recently prepared, and that the Israeli government is currently discussing the actual implementation. Israel will also be expanding the southern neighborhood of the settlement by illegally confiscating more Palestinian lands, and lands the belong to the Cremissan Christian Monetary. Haaretz added that the new construction plan is one of the biggest “housing projects” in occupied Jerusalem. It said that the plan was submitted to the Housing Ministry in December of 2012, but was postponed as contractors and engineers needed to perform some changes. The Ministry of Interior approved the modified plan on Monday. On Sunday, Israeli “Housing Minister”, Uri Ariel, and the Jerusalem City Council head, Nir Barkat, placed the cornerstone of a new settlement, meant for Haredi Jews, on Palestinian lands in Jabal Al-Mokabbir Palestinian town, south of occupied East Jerusalem. This came after the government on Netanyahu approved the construction of 1200 units in West Bank and Jerusalem settlements. The United States said that it is concerned about the Israeli decision to build more units for Jewish settlers in the occupied West Bank, especially amidst the start of a new round of direct talks between Israel and the Palestinians. U.S Foreign Secretary spokesperson, Jennifer Psaky, stated that the United States does not accept ongoing Israeli settlement activities. The Israeli regime has approved the construction of another 942 settlement units in the occupied East al-Quds (Jerusalem), report says. Al-Quds municipal councillor Yosef Pepe Alalu said on Tuesday that the municipality approved the plan for the construction of the settlement units in Gilo settlement, AFP reported. "This is a terrible decision which is a provocation against the Palestinians, the Americans and the whole world who oppose continued settlement building," the leftwing municipal councilor also said. The new construction plans are in addition to the 1,200 settlement units approved by the Tel Aviv regime on Sunday. The Palestinians have already been infuriated by the Sunday approval of the building of 793 settlement units in east al-Quds and 394 others in the West Bank. The new move is expected to add insult to injury. The approval comes at a time when a new round of the talks between Israelis and the Palestinian Authority is to resume in al-Quds on Wednesday. The plans for the construction of new settlements also received international condemnation. 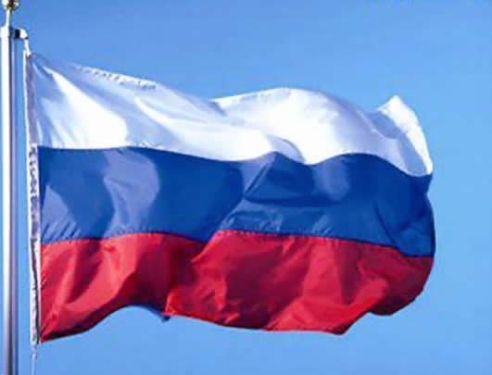 The Russian Foreign Ministry said in a statement on Monday that Moscow was “seriously concerned” by the move. The statement also said that the approval that came ahead of the talks was “counterproductive” and “complicates the atmosphere of the talks." 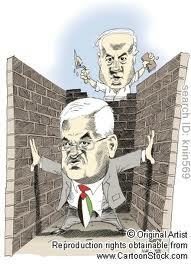 Top Palestinian negotiator, Saeb Erekat, also said the PA is now mulling boycotting the talks with Israel. "The settlement plans contradict the principle of confidence and goodwill that the resumption of negotiations should have provided," he said. US Secretary of State John Kerry said on Monday that Israel's announcement of new settlements in the West Bank and East Jerusalem "were to some degree expected," but reiterated that "The United States of America views all of the settlements as illegitimate." Meanwhile, Israel's Prime Minister Benjamin Netanyahu on Monday slammed the EU's stance on Jewish settlements in the West Bank, saying they would hamper peace talks with the Palestinians. 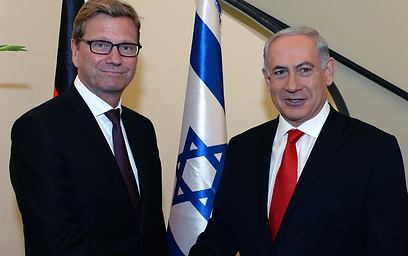 "I think Europe, the European guidelines by the EU, have actually undermined peace," Netanyahu said during a meeting with German Foreign Minister Guido Westerwelle. The EU published guidelines last month that will forbid its 28 member states from dealing with or funding any Israeli "entities" in the occupied Palestinian territories, including the West Bank and east Jerusalem. Jewish settlements in the West Bank are illegal under international law. 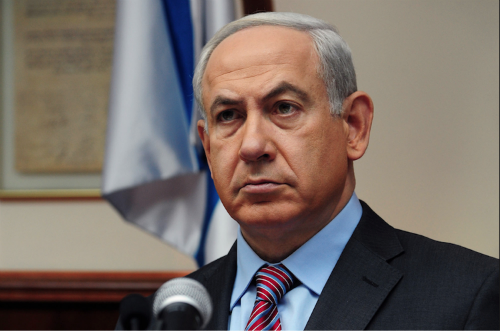 The guidelines "have hardened Palestinian positions," Netanyahu said. "They seek an unrealistic end that everybody knows is not going to happen, and I think they stand in the way of reaching a solution which will only be reached by negotiations by the parties, and not by an external dictate." Israeli and Palestinian negotiators are due to resume US-brokered peace talks in Jerusalem on Wednesday, nearly three years after the last round broke down over the settlements issue. Construction under fire Israel approved the release of 26 Palestinian prisoners before talks begin, but on Sunday also gave the green light for more than 1,000 new settler homes to be built in the West Bank and in the annexed east Jerusalem, a decision that infuriated Palestinians and also irked the US. US's Kerry subtly criticized the planned construction, and said "it underscores is the importance of getting to the table, getting to the table quickly," referring to the imminent resumption of peace talks between the Israelis and the Palestinians. Earlier, Deputy State Department Spokeswoman Marie Harf said that “we do not accept the legitimacy of continued settlement activity. “These announcements come at a particularly sensitive time and we have raised our concerns with the government of Israel. We are moving forward with our plans. We have always said that this is going to be difficult and there are going to be bumps in the road,” Harf added, reiterating that special envoy Martin Indyk is holding meetings with both sides, which are still actively participating in talks. In a possitive nod to Israel, Harf noted that the Israeli government is taking “a difficult and necessary step” in releasing Palestinian prisoners ahead of talks. UN Chief A Spokesman for United Nations Secretary General Ban Ki-moon also re-stated his long-standing opposition to continued settlement building. "Settlements in the occupied territories are illegal, they have been and they continue to be illegal," Eduardo del Buey said. The new construction bid also prompted the Russian Foreign Minister Sergei Lavrov's criticism. "Moscow is deeply concerned about the intent to build in occupied Palestinian territories, which are not recognized by Russia and the international community," Lavrov said. Lavrov further added: "Taking this step on the eve of the renewal of peace talks between Israel and the Palestinians is not effective and does not aid the process." 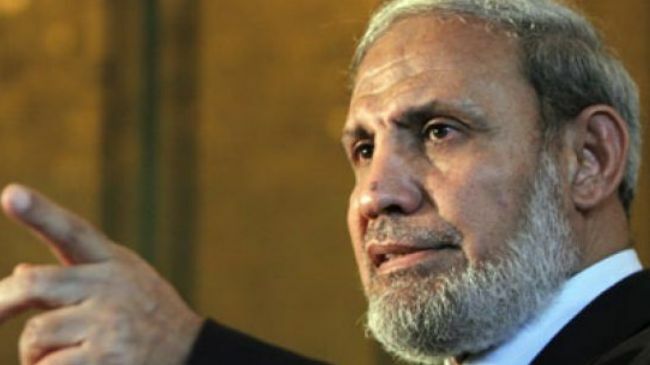 "We renew our rejection of these futile talks, and consider them purely a means for the occupation (Israel) to look good to the international community," senior Hamas official Mahmoud al-Zahar said at a news conference in Gaza on Monday. The Palestinian official also criticized Acting Palestinian Authority Chief Mahmoud Abbas and his negotiating team for accepting the idea of talking with the Israeli regime, saying, they "have no legitimacy" to represent the Palestinian people in the talks. "We call on the Palestinian people to unite in confronting the crime that is the peace talks," he added. On Thursday, US State Department spokeswoman Jen Psaki said talks between the Palestinian Authority (PA) and the Israeli regime will resume on August 14 in al-Quds (Jerusalem). The representatives of Israel and the PA met last month in Washington. The meeting was the first direct negotiations in three years. The last Palestinian-Israeli talks were halted in September 2010 after Tel Aviv refused to freeze its settlement activities in the West Bank. Palestinians are seeking to create an independent state on the territories of the West Bank, East al-Quds, and the Gaza Strip, and are demanding that Israel withdraw from the Palestinian territories occupied in the Six-Day War of 1967. Tel Aviv, however, has refused to return to the 1967 borders and is unwilling to discuss the issue of al-Quds. Excellent piece in the Jewish Journal by David Suissa, a rightwing columnist who believes that Israel has a right to the West Bank, stating that the talks will fail because Israel has "the mark of 'thief'” on its forehead and therefore the Palestinians will never compromise with it, and who can blame them. Suissa laments this mark, but says that a global campaign has been successful in affixing it. there’s an underlying emotional reason why these talks are doomed to continue the failures of the past. No one wants to negotiate — let alone compromise — with a thief. For several decades now, the Palestinians have successfully sold the world and themselves on the narrative that Israel stole their land. This has given them zero incentive to compromise. Over time, as this unchallenged narrative has taken on the aura of accepted truth, it has undermined all attempts to reach a final peace agreement, as well as expose Israel to a global campaign of boycotts and condemnations. As long as you enter negotiations with the mark of “thief” on your forehead, good luck trying to get the other side to compromise. Much of Suissa's column is dedicated to his argument that Israel has the right to Judea and Samaria, and it has failed to defend that right. It can't win. It's not Palestinian marketing that's undermined his position, it's that the rest of the world does not accept the Israeli interpretation of the Geneva Convention on transfer of populations. The article demonstrates how much is at stake with the European stance on unlawfulness of the settlements. Israelis have undertaken negotiations in some measure because they are seeking a EU fig-leaf compromise on that stance. So as to escape the thief label. President Mahmoud Abbas Monday briefed visiting German Foreign Minister Guido Westerwelle on the latest developments in the peace process. Abbas discussed with Westerwelle the resumption of negotiations with Israel, particularly the upcoming round of talks planned for Wednesday in Jerusalem. He affirmed the Palestinian side’s commitment to achieve a comprehensive and just peace through negotiations to reach an independent state with Jerusalem as its capital. Abbas also denounced the ongoing illegal Israeli settlement activities. Westerwelle stressed his country’s support for the peace process and its readiness as well as the European Union’s readiness to provide the Palestinian people with the support they need to build the institutions of the Palestinian state. An Israeli source said that the release of the 26 Palestinian prisoners authorized to be freed by the cabinet last month will take place late Tuesday night. Jerusalem told Ynet that the release could be delayed in the case of unexpected developments or surprises, and hence there has yet to be official confirmation of the date and time. The prisoner release is intended as a gesture of good will toward the Palestinians. Israel prefers the release take place at night in a bid to minimize Palestinian celebrations and prevent mass participation on their part. Fuad Al-Khoffash, head of the Ahrar Center for Detainees Studies and Human Rights, stated that not a single detainee from the Jerusalem and historic Palestine is included in the list of detained to be released by Israel, and that not all old detainees are included. His statements came after Israel announced the names of 26 Palestinian detainees to be released as part of an American mediated agreement to ensure the resumption of direct peace talks between Tel Aviv and Ramallah. “This list is very disappointing to the detainees, their families and the Palestinian people”, he said, “Israel was supposed to release old detainees who spent many years in prison”. 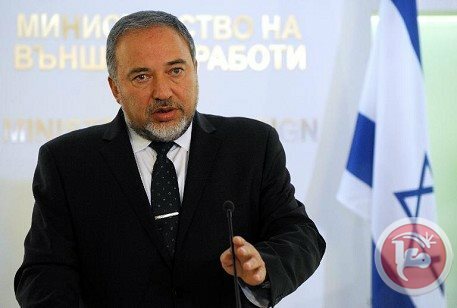 He also stated that the Palestinians are happy for the release of any detainee, and added that the release should have been based on real standards, instead of illusions, especially since Israel chose the names of the detainees without any coordination with the Palestinian Authority in the West Bank. “The worst part of this list is that detainees from Jerusalem from Jerusalem and historic Palestine have been excluded”, Al-Khoffash said, “The list was concentrated on detainees from Gaza”. He said that there are 57 old detainees from the West Bank and 23 from Gaza, and that Israel was supposed to release 15 detainees from Gaza and 11 from the West Bank. 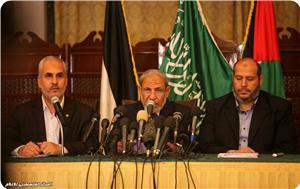 Al-Khoffash also said that two detainees, members of Hamas, are slated to be release in a month. “Detainee Samir Hussein Mortaji from Gaza, was kidnapped on October 29 1993, and was sentenced to twenty ears, he served his term and is supposed to be released next month anyways”, he stated, “Detainee Jamal Ambdul-Wahab Natsha was kidnapped on December 12 1992 and was sentenced to 21 years, he served his term, and was scheduled to be released in three months”. Also on the list are four detainees who were supposed to be released anyways in less than a year, including three, from Gaza, who have been sentenced to 25 years, and one from the West Bank who was sentenced to 21 years and is supposed to be released anyway in six months. “Nihad Yousef Jondiyya, from Gaza, was kidnapped on July 14 1989, Mohammad Mahmoud Hamdiyya, from Gaza, was taken prisoner on the same day, Mohammad Jaber Nabshat, from Gaza, was kidnapped on September 20 1990”, he said, “Also resident Taher Mahmoud Zyoud, from Jenin, was taken prisoner on February 6 1993, he was sentenced to 21 years, and was supposed to be released in six months”. He also stated that detainee Ismael Abdul-Hafeeth Mansour, was kidnapped on October 26 1993; he was sentenced to 22 years and was scheduled to be released in two years. In addition, detainee Atef Izzat Sha’ath, from Gaza, was kidnapped on March 13 1993, and spent 21 years of his 25-year term. Detainee Yousef Sa’id Abdul-‘Aal, from Gaza, was kidnapped on February 22 1994, and spent 20 years of his 22-year term. Al- Khoffash further said detainee Borhan Sbeih will also be released despite the fact that he is not one of the long serving detainees as he was kidnapped on February 18 2001. He used to work as an officer of the Palestinian Preventative Security Forces. He added that Israel will be releasing five detainees from Nablus, who were sentenced to life-terms, one from Bethlehem, three from Jenin, one from Ramallah and one from Hebron, and that the rest (15 detainees) are from Gaza, and 17 of the detainees who will be released are serving life terms. “The reason behind this analysis is that the Palestinians need to clearly understand the nature of this deal, especially since the Palestinian negotiators had no input in it as the names have been chosen by Israel and were kept secret”, Al-Khoffash stated, “We need to understand that the mistakes that have been made in the past, are repeated now in this deal”. He also said that all old detainees should have been released, including those who still have many years in their terms, and all of the detainees sentenced to life terms without any exceptions. The release is part of an agreement reached between Israel and the Palestinian Authority, under direct supervision and mediation from U.S. Secretary of State, John Kerry, in an attempt to revive peace talks. However, Israel was left to choose the names it wants and the criterion it wants to follow. Russian Foreign Minister Sergei Lavrov criticized Israel's decision to construct 1,000 new housing units in the settlements. Lavrov said: "Moscow is deeply concerned about the intent to build in occupied Palestinian territories, which are not recognized by Russia and the international community." Lavrov further added: "Taking this step on the eve of the renewal of peace talks between Israel and the Palestinians is not effective and does not aid the process." EU plans to restrict funding of Israeli bodies connected to East Jerusalem, the West Bank, and Golan Heights. The state of Israel refuses to sign any future agreements acknowledging that Israel lacks sovereignty of regions beyond the ’67 borders. The new EU guidelines restrict funding and financial investment, including grants, stipends, scholarships, and prizes to Israeli bodies with direct or indirect connection to the continued occupation of Palestinian territories. The guidelines also require any agreement signed between the EU and Israel to contain a clause stating that settlements in East Jerusalem, the West Bank, and Golan Heights are not considered a part of the State of Israel. The restrictions will take effect on January,1 2014. Israel’s Wednesday meeting with EU representatives will go on as planned. Israel hopes to make clear at the start and end of the meeting that it will sign the present accord on the condition that the EU change the wording of the guidelines, specifically that regarding settlements. Following the 1967 Six-Day War Israel defines East Jerusalem and most of the Golan Heights as falling within its sovereign borders. Although the West Bank is Palestinian territory more than 60 percent of the area is controlled by Israel. In 2010 peace negotiations between Israel and Palestine fell apart due to Israel’s continued expansion of settlements. Israel’s present day expansion of settlement and denial of ’67 borders continue to indicate to many that Israel is not serious about the current peace negotiations. Hebrew-language media outlets reported Monday that Palestinian Authority (PA) told the Americans that in order to resume negotiations, Israel must cancel its decision to build more than 1200 new settler unit in settlements in the West Bank and Jerusalem. The PA said that the tenders for over 1,000 settler homes in Jerusalem and West Bank were proof that Israel "was not serious in the negotiations" with the PA.
A PA senior official said Sunday that Israel "aims through this condensed settlement activity to destroy the basis of the solution called for by the international community, which aims to establish a Palestinian state on the 1967 borders." Some Israeli Politicians from the center and left of the political spectrum were not happy for the decision, Arutz Sheva said in a press release. 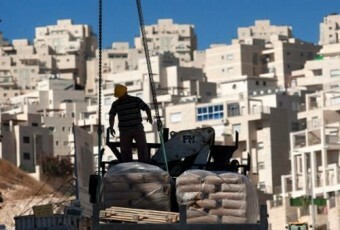 "The publishing of tenders for the marketing of 1,200 housing units in eastern Jerusalem and in the large settlement blocs at this time, is a double mistake," Israel's Finance Minister Yair Lapid said after the announcement by the Construction and Housing Ministry. "Solutions to the housing problem should be implemented in the areas of demand," Lapid said. "In addition, the use of resources that are intended for housing for the middle class, in order to make an unnecessary gesture of defiance vis-a-vis the Americans and to throw a spanner in the works of the peace talks, is mistaken and does not help the process." It's worth mentioning that negotiations between the Israelis and Palestinians will be resuming Aug. 14 in Jerusalem and will be followed by a meeting in Jericho. Iran's supreme leader Ayatollah Ali Khamanei warned the Palestinians on Aug. 9 against renewed peace talks with Israel, saying they would be "detrimental" to their cause. 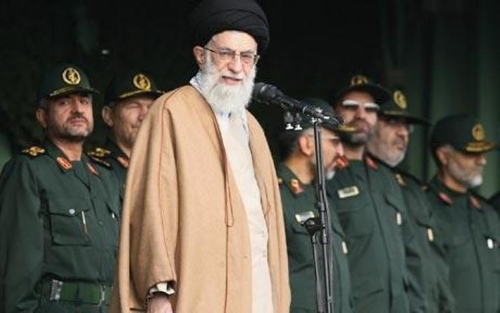 Khamanei, who has the final say on Iran's foreign policy, said the talks would likely " encourage the aggressors to increase their aggression and suppress the rightful resistance of the Palestinians" and likely force "the Palestinians to reliquish their rights". Khamanei also called on the Muslim world to condemn Israel's "oppressive" actions against Palestinians. "The Muslim world must not back down from its support for Palestine, and it should condemn the oppressive action of fierce Zionist wolves and their international supporters," he said. The Islamic republic has repeatedly voiced opposition about talks focusing on a two-state solution, saying Israel would never agree to withdraw from "occupied lands." His remarks came a day after the U.S. State Department said Palestinian and Israeli negotiators would resume talks on ending their long-standing conflict on Aug. 14 in Jerusalem. Both sides have already agreed to try to resolve their differences within nine months. State Department spokeswoman Jen Psaki said, "Negotiations between the Israelis and Palestinians will be resuming Aug. 14 in Jerusalem and will be followed by a meeting in Jericho." Psaki said U.S. envoys Martin Indyk and Frank Lowenstein will travel to the region to help facilitate the negotiations. She signaled that no major breakthroughs were likely at the meeting, saying: "Secretary Kerry does not expect to make any announcements in the aftermath of this round of talks." In a move labeled by Israeli government officials as a 'goodwill' gesture, but questioned by the families of the over 4,000 Palestinians imprisoned by Israel as a public relations stunt, just 12 prisoners will be released on Tuesday, with an additional 14 to be exiled to the Gaza Strip. In the past, such prisoner releases have involved hundreds of imprisoned Palestinians, but this time, the Israeli government has approved just 12 prisoners for full release. An additional 14 Palestinian prisoners will be exiled to the Gaza Strip, unable to return to their families and homes in the West Bank. Israeli forces engage in daily raids of Palestinian towns, villages and refugee camps, abducting sometimes dozens of people each day. So Palestinian prisoner advocacy groups say that the release of a dozen prisoners is rather disingenuous on the Israeli government's part, since the Israeli military usually abducts that many in a single day. Despite the low number of prisoners to be released, Israeli victims of Palestinian attacks held a protest to challenge the release of any Palestinian prisoners. They also filed an appeal with the Israeli government committee that approved the release. Palestinian President Mahmoud Abbas had previously stated that the Israeli government had approved the release of 107 Palestinians who have been imprisoned for more than twenty years. Although most of the Palestinians on the list were imprisoned for killing Israelis, prisoner rights advocates in Palestine point out that Palestinians are often convicted based on circumstantial evidence and without proper legal representation. Many Palestinian prisoners have also been forced to 'confess' through the use of torture techniques. The prison advocacy organization Addameer has documented the extensive and routine use of torture in the interrogations of Palestinian prisoners. 1. Kor Mattawa Hamad Faiz, jailed since '85, for the murder of Menahem Dadon and attempted murder of Salomon Abukasis, sentenced to life imprisonment. 2. Salah Ibrahim Ahmad Mughdad, jailed since '93, for the murder of Israel Tenenbaum, sentenced to life imprisonment. 3. Na’anish Naif Abdel Jafar Samir, jailed since '89, for the murder of Binyamin Meisner, sentenced to life imprisonment. 4. Arshid A. Hamid Yusef Yusef, jailed since '93, for the murder of Nadal Rabu Ja’ab, Adnan Ajad Dib, Mufid Cana’an, Tawafiq Jaradat and Ibrahim Sa’id Ziwad, sentenced to life imprisonment. 5. Al Haj Othman Amar Mustafa, jailed since '89, for the murder Steven Frederick Rosenfeld, sentenced to life imprisonment. 6. Maslah Abdallah Salama Salma, jailed since '93, for the murder of Reuven David, sentenced to life imprisonment. 7. Abu Moussa Salam Ali Atiya, jailed since '94, for the murder Isaac Rotenberg, sentenced to life imprisonment. 8. Maqlad Mahmoud Zayd Salah, jailed since '93, for the murder of Yeshayahu Deutsch, sentenced to life imprisonment. 9. Sawalha Bad Almajed Mahmad Mahmad, jailed since '93 for the murder of Baruch Heisler, and attempted murder of Betty Malka, Shai Cohen, Avishag Cohen, sentenced to life imprisonment. 10. Shaath Azath Shaaban Attaf, jailed since '93, for being the accessory to the murder of Simcha Levy, sentenced for 25 years imprisonment. 11. Abdel Aal Sa’id Ouda Yusef, jailed since '94, for throwing explosives, accessory to the murder of Ian Feinberg and Sami Ramadan, sentenced for 22 years imprisonment. 12. Barbakh Faiz Rajab Madhat, jailed since '94, for the murder of Moshe Beker, sentenced for life-term imprisonment. 13. Raai Ibrahim Salam Ali, jailed since '94, for the murder of Moris Eisenstatt, sentenced for life-term imprisonment. 14. Nashbat Jabar Yusef Mahmad, jailed since '90, for being an accessory to the murder of Amnon Pomerantz, sentenced for 25 years imprisonment. 15. Mortja Hasin Ganim Samir, jailed since '93, for abduction, interrogation through torture, and murder of Samir Alsilawi, Khaled Malka, Nasser Aqila, Ali al Zaabot, sentenced for 20 years imprisonment. 16. Sawalha Faz Ahmad Husni, jailed since '90, for the murder of Heisler Baruch, sentenced for life-term imprisonment. 17. Ramahi Salah Abdallah Faraj, jailed since '92, for the murder of Avraham Kinstler, sentenced for life-term imprisonment. 18. Abu Satta Ahmad Sa’id Aladdin, jailed since 1994, for the murder of David Dadi and Hayim Weizman, sentenced for life-term imprisonment. 19. Abu Sita Talab Mahmad Ayman, jailed since 1994, for the murder of David Dadi and Hayim Weizman, sentenced for life-term imprisonment. 20. Mansour Omar Abdel Hafiz Asmat, jailed since 1993, for being an accessory to the murder of Hayim Mizrahi, sentenced for 22 years imprisonment. 21. Asqara Mahmad Ahmad Khaled, jailed in '91, for the murder of Annie Ley, sentenced for life-term imprisonment. 22. Janadiya Yusef Radwan Nahad, jailed since '89, for the murder of Zalman Shlein, sentenced for 25 years imprisonment. 23. Hamadiah Mahmoud Awad Muhammad, jailed since '89, for the murder of Zalman Shlein, sentenced for 25 years imprisonment. 24. Abdel Nabi A. Wahab Jamal Jamil, jailed since '92, for the murder of Shmuel Gersh, sentenced for 21 years imprisonment. 25. Ziwad Muhammad Taher Taher, jailed since '93, for the murder of Avraham Cohen, sentenced for 21 years imprisonment. 26. Sabih Abed Hamed Borhan, jailed since '01, for the murder of Jamil Muhammad Naim Sabih, Aisha Abdullah Haradin, sentenced for life-term imprisonment. P.A. : "Israel Wants To Sabotage Peace Talks"
Israeli sources have reported that the Israeli government intends to build hundreds of units for Jewish settlers, not only in settlements and in settlement blocs in the occupied West Bank and occupied East Jerusalem, but also in illegal isolated settlement outposts. The sources said that the move comes parallel with the resumption of direct negotiations with the Palestinians, scheduled to start Wednesday, and added that Israeli Prime Minister, Benjamin Netanyahu, is coordinating these settlement activities with the White House. Israeli Maariv reported that Tel Aviv handed a “modified construction plan” to the U.S. in exchange for the release of Palestinian detainees held since before the first Oslo Agreement of 1993. Hundreds of units will be declared in Jerusalem and the West Bank under this plan. The Arabs48 news website reported that a senior U.S. source stated that the planned constructions are part of Israel’s “carrot and stick policy” that will enable Netanyahu to keep his coalition government intact, and resume the peace process. It added that this is why Netanyahu agreed to release 101 Palestinian political detainees, imprisoned since the first Oslo accord was signed between Israel and the Palestinian Liberation Organization (PLO). Maariv said that the statement, the Netanyahu government will be making, will not come as a surprise to the U.S. Administration, as it was coordinated with the White House. Last Thursday, United Foreign Secretary, Jennifer Psaki, stated in a press conference that the next round of direct Palestinian-Israeli talks will be held on August 14 in Jerusalem, then in the West bank city of Jericho. On Friday, Psaki said that the United States still considers settlements to be illegal, but also hinted to an agreement between the Obama Administration and Tel Aviv regarding constructions in existing settlements. She said that the construction of 800 units in Israeli settlements was discussed during talks between the two countries before the resumption of direct peace talks was officially announced. On Sunday [August 11, 2013] Israeli “Housing Minister”, Uri Ariel, and the Jerusalem City Council head, Nir Barkat, placed the cornerstone of a new settlement on Palestinian lands in Jabal Al-Mokabbir Palestinian town, south of occupied East Jerusalem. In related news, Israeli Justice Minister, head of the Israeli Negotiations file, Tzipi Livni, said that the European Union should not intervene in the drawing of future borders between Israel and the Palestinians, and claimed that the issue is on the negotiation table. Her statements came during a Sunday meeting in Jerusalem with German Foreign Minister, Guido Westerwelle. She also said that the conflict with the Palestinians sometimes affects the relations with Europe. On his part, Westerwelle said that direct peace talks serve the best interests of all parties, and stressed on the importance of refraining from unilateral moves. On Sunday evening, Palestinian Presidency Spokesperson, Nabil Abu Rodeina, stated that the new Israeli decision to build more than a thousand units, in the West Bank and East Jerusalem, is an Israeli attempt to sabotage the peace process before it is even resumed. He said that all of Israel settlements in the occupied territories are illegal and illegitimate under International Law, and added that “not a single Israeli settlement will remain in the future independent Palestinian state. Besides the fact that settlement are illegal under International Law and the Fourth Geneva Convention, they are also one of the main obstacles to peace in the region as they are built in occupied territories, largely on privately-owned Palestinian lands. 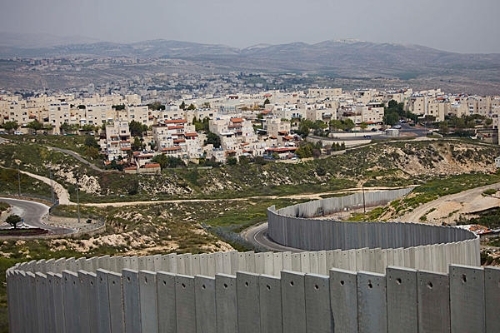 Along with the Apartheid Wall, settlements have turned the Palestinian areas into isolated ghettoes, separating the villagers from their lands, or what is left of them, and diminished the chances of establishing a future contiguous and independent Palestinian State. Israeli “Housing Minister”, Uri Ariel, and the Jerusalem City Council head, Nir Barkat, placed the cornerstone of a new settlement, meant for Haredi Jews, on Palestinian lands in Jabal Al-Mokabbir Palestinian town, south of occupied East Jerusalem. A settler group, known as Emonah, will implement the new constructions. Parking lots for the new settlement have already been built nearly five years ago on three Dunams of land, but the settlement was not built due to legal procedures after the Palestinians filed appeals against the constructions, but an Israeli court ruled against the Palestinians and the Israel government Okayed the plan. Mark Regev, spokesperson of Israeli Prime Minister Benjamin Netanyahu, stated that the new “residential construction plan that was approved today [Sunday] around Jerusalem, and in settlement blocs in the West Bank, are constructions in areas that will always be under Israeli sovereignty under any peace agreement with the Palestinians”. Resident Jamal Abu Sarhan, a Palestinian impacted by the construction, told the WAFA news agency that the City Council in Jerusalem closed the main road that leads to his home, and converted it into a pedestrian only pathway. “I pay thousands of shekels in taxes to the Jerusalem City council, but I get no services, and now they surrounded me, and left me a small pathway that is less that 2 meters wide”, he said, “No cars, no ambulances, no fire trucks… can reach my place”. He also said that he received an official notice informing him that Israel intends to confiscate a half Dunam (0.12 Acres) of land he owns in front of his home. “This land is mine, I paid more than 150.000 NIS to fix it and make it good”, Sarhan added, “Now they are just going to take it away from as Israel wants to turn it into a public area for the settlement”. Also, resident Ahmad Obeidy stated that he fears the new settlement would lead to conflicts between the settlers and the residents similar to what is happening in Nof Etzion settlement, built on Palestinian lands in Jabal Al-Mokabbir. Lawyer Majed Hamdan told WAFA that he has been representing the residents in Israeli courts for several years now in an attempt to prevent the implementation of the new settlement plan, and that he managed to stop it for two years. “But Emonah is supported by various international groups that fund illegal settlements in Palestine, they can pay legal fees, hire lawyers, lobby…”, Hamdan said, “The residents cannot do that, they got no money or power, they are just being displaced, losing their rights and lands”. He further stated that the residents have legal ownership documents that were submitted to the court and the City Council. “But Israel targets Arab neighborhood, villages and towns in Jerusalem, Hamdan added, “They want to change the geography and demography of occupied Jerusalem”. Palestinian officials expressed disappointment following the publication of the names of 26 prisoners set to be released later in the week as part of resuming peace talks. The officials said they were expecting the list to contain the names of well known prisoners whose release would have raised public support for the negotiations. Palestinian President Mahmoud Abbas said Israel will release 104 Palestinian prisoners who were jailed before the Oslo Accords were signed, including Arab-Israelis and residents of east Jerusalem. 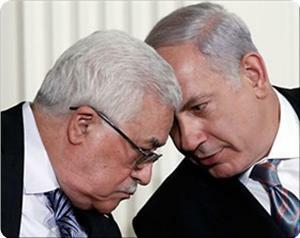 Abbas' statement was given during a meeting in his office with Prisoners Affairs Minister Issa Karaka. According to him, the release will be made in four stages, and no prisoner will be deported from his homeland. Abbas added that prisoners' release will improve the chances to reach a peace deal with Israel. President Shimon Peres met with American Mideast peace envoy Martin Indyk and congratulated him for the US efforts to promote the peace process. The two discussed at length the peace process and Middle East affairs. Minister Amir Peretz said: "While Minister Tzipi Livni invests comprehensive efforts in convincing European leaders that we aim for peace and that the border issue will be determined solely through negotiations with the Palestinians, Minister (Uri) Ariel busies himself with unnecessary provocations and statements contradictory to the prime minister's decision. Habayit Hayehudi members apparently feel there's a chance for peace and are sparing no effort in attempt to sabotage it." Housing Minister Uri Ariel announced on Sunday 1,200 new homes up for sale in Jerusalem and the West Bank. Habayit Hayehudi Chairman Naftali Bennett said: "Erekat now says we can't build in our capital, in Jerusalem. The question is not why we're building in Jerusalem now. The question is why didn't we build until now. Habayit Hayehudi will keep fighting for building in our country, without apologizing." Earlier Saeb Erekat, chief negotiator for the Palestinian team, said that Israel's new construction plans in the settlements are meant to undermine the peace talks, to be resumed on Wednesday. Israel's new plans for settlement construction announced Sunday showed it was "not serious" in efforts to negotiate peace, a Palestinian Authority official said. The tenders for over 1,000 homes in the occupied West Bank and annexed East Jerusalem were proof that Israel "was not serious in the negotiations," PA negotiator Mohammad Shtayyeh said in a statement. He charged that Israel "aims through this condensed settlement activity to destroy the basis of the solution called for by the international community, which aims to establish a Palestinian state on the 1967 borders." 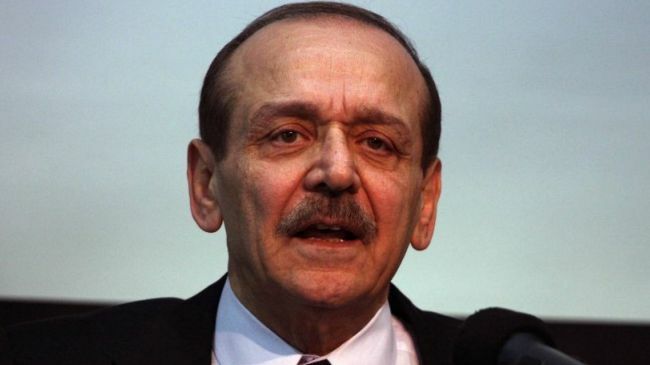 Shtayyeh said the new tenders were "conditions and new facts on the ground" that Israel was setting in order "to determine the negotiations in whichever way suits it best." The PA negotiator called for Washington, sponsoring the talks, to take "a firm and clear position to rein in this Israeli attack on the West Bank and especially Jerusalem." 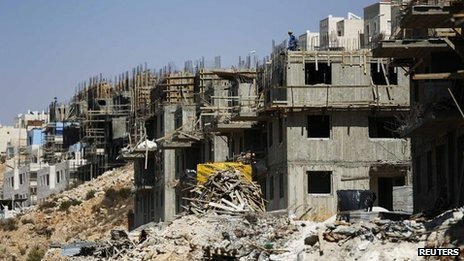 Israel's housing ministry said earlier said it would be publishing tenders for 793 units in east Jerusalem and 394 elsewhere in the West Bank. The US State Department said last week that Israeli and Palestinian negotiators would resume talks in Jerusalem on Wednesday on ending their decades-old conflict. They resumed direct negotiations in Washington last month, ending a three-year hiatus after painstaking US mediation. The last talks in 2010 broke down over the issue of settlement building. Palestinians have reacted angrily to Israel's approval of nearly 1,200 new Jewish settlement homes, just days before peace talks are set to resume. Palestinian negotiators said the approval cast doubt on Israel's sincerity in the peace process. Israel's housing minister said no country in the world would take orders on where it could build its homes. The issue of building settlements in occupied Palestinian areas halted the last direct talks in September 2010. About 500,000 Jews live in more than 100 settlements built since Israel's 1967 occupation of the West Bank and East Jerusalem. The Palestinians want to establish their state in those areas, as well as the Gaza Strip. The settlements are considered illegal under international law, although Israel disputes this. 'Dangerous policy' On Sunday, Israeli Housing Minister Uri Ariel confirmed that 793 apartments would be built in east Jerusalem and 394 in several large West Bank settlements. Palestinians said the plans brought into question Israel's commitment to the peace process. Palestinian negotiator Mohammed Shtayeh said Israel aimed "to destroy the basis of the solution called for by the international community, which aims to establish a Palestinian state on the 1967 borders". 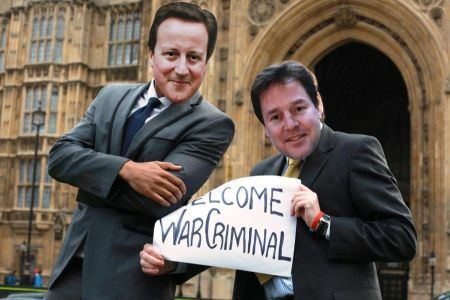 He accused Israel of trying to "determine the negotiations in whichever way suits it best". Chief negotiator Saeb Erekat told Reuters: "If the Israeli government believes that every week they're going to cross a red line by settlement activity, if they go with this behaviour, what they're advertising is the unsustainability of the negotiations." PLO executive committee member Hanan Ashrawi told the BBC: "We believe that Israel is deliberately sending a message to the US, to the rest of the world that regardless of any attempt at launching negotiations, 'we are going to press ahead with stealing more land, building more settlements and destroying the two-state-solution'. "This is an extremely dangerous policy, and if left unchecked it certainly would lead to greater conflict and the destruction of all chances of peace." Palestinian President Mahmoud Abbas had previously insisted he would not resume talks without an Israeli settlement freeze, but relented during mediation by US Secretary of State John Kerry. The BBC's Kevin Connolly in Jerusalem says Israel's announcement of the settlement construction may be intended as a sop to right-wing supporters of the government. They had been angered by the government's approval of the release of more than 100 Palestinian prisoners - a condition set by the Palestinians for the talks to go ahead. The first group is due to be freed on 13 August. The negotiations are scheduled to start in Jerusalem on Wednesday. The latest Israeli settlement approval invites tenders for homes in Har Homa and Gilo, on East Jerusalem's southern outskirts, and in Pisgat Zeev, on the city's northern edge. Tenders will also be invited for Ariel, in the northern West Bank, in Maaleh Adumim, east of Jerusalem, and in Efrata and Beitar Ilit, around Bethlehem. A housing ministry spokesman told the BBC that construction would begin in one to two years' time. Mr Ariel said in a statement: "No country in the world takes orders from other countries [about] where it can build and where it can't. Palestinians see continued Israeli construction on the land where they aspire to create a new state as one of the biggest obstacles to peace. The timing of this announcement may deepen the sense of pessimism that surrounds renewed peace talks even before they've really begun. Housing Minister Uri Ariel comes from a party which opposes the very idea of a Palestinian state bordering Israel on the West Bank of the River Jordan. He 's now invited private firms to tender for the construction work. More liberal members of Israel's broad coalition government will be uncomfortable with the tone and timing of the news. Palestinian leaders will be angered but may well have factored the possibility of this type of announcement into their overall political calculations. 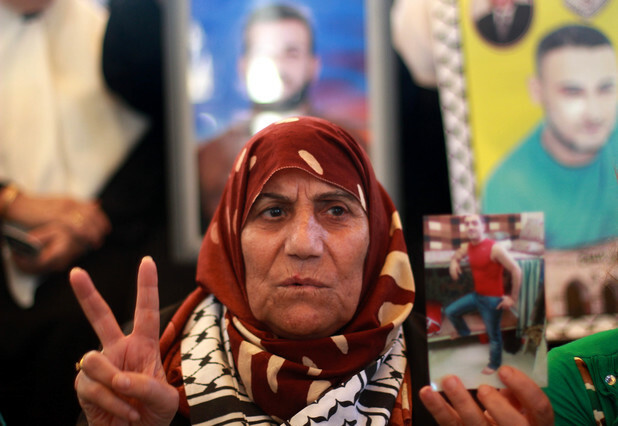 Israel is also preparing to free 26 Palestinian prisoners on the eve of this week's scheduled peace talks. Announcing the settlement construction at the same time may be intended as a sop to right-wing supporters of the government who oppose those prisoner releases. Israel has announced plans to construct nearly 1,200 new illegal settlement units on the occupied Palestinian territories, only three days before Palestinian and Israeli officials are to restart the so-called peace talks. Israeli Housing Minister Uri Ariel said on Saturday that 1,187 apartments had been given final approval. He went on to say that 793 apartments will be built in East al-Quds (Jerusalem) while 394 others are to be constructed in several neighborhoods of the occupied West Bank, including Maaleh Adumim, Efrat and Ariel. The Israeli housing minister further noted that the Tel Aviv regime will continue its settlement expansion activities. "We will continue to market housing.... This is the right thing at the present time, for Zionism and for the economy," Ariel stated. The measure is poised to effectively torpedo the attempts to kick-start the long-stalled negotiations between Israeli and Palestinian leaders, and deepen a climate of distrust between the two sides. Acting Palestinian Authority Chief Mahmoud Abbas had long insisted that he would not resume talks without an Israeli settlement freeze. However, he gave in under unrelenting US pressure at last. Israeli settlements are considered illegal by the UN and most countries because the territories were captured by Israel in the Six-Day War of 1967, and are hence seen as being subject to the Geneva Conventions, which forbid construction on occupied lands. Palestinians are seeking to create an independent state on the territories of the West Bank, East al-Quds, and the Gaza Strip and thus are demanding Israel to withdraw from the occupied Palestinian territories. More than half a million Israelis live in over 120 illegal settlements built since the Israeli occupation of the Palestinian territories of the West Bank and East al-Quds in 1967. Britain's Foreign Office Minister, Alastair Burt, denounced the recent Israeli government decision to construct 1096 units for Jewish settlers in the occupied West Bank, and in occupied East Jerusalem. The Minister said that the focus should be on peace talks. In a press release, Burt stated that Britain denounces the Israeli plan that includes 63 units in East Jerusalem, and added that settlements are illegal under International Law, jeopardize the efforts meant to build trust, and undermine the viability of a two-state solution. “The United Kingdom urges Israel to void its decision, we must focus on resuming direct peace talks that will start August 14”, he added. He also said that the Britain urges Tel Aviv and Ramallah “to continue to show courageous leaderships determined to make every possible effort to achieve a lasting peace agreement”. He added that his country strongly believes the current efforts are capable of achieving peace that “the nations of the region deserve”. There are more than 120 Israeli settlements in the occupied West Bank, and occupied East Jerusalem. The Number does not include settlement outposts. Besides the fact that settlement are illegal under International Law, Israel’s settlements also violate the Fourth Geneva Convention. Israel’s settlements spread across the occupied West Bank and Israel’s’ Annexation Wall, have isolated large areas of Palestinian lands and orchards in the area, and are devastating the Palestinian economy as villagers lost large areas of their orchards and farmlands, in addition to the fact that large areas on lands became totally isolated.